Are you looking for a hassle-free car buying experience without the stress? A car is often the second largest purchase you’ll make in your lifetime, and you want to enjoy the excitement of a new vehicle free of anxiety. Here at LaFontaine Import Super Center in Dearborn, conveniently located on Telegraph, south of Michigan Avenue. Our goal is to create a relaxing atmosphere in which you can make your decision in confidence. 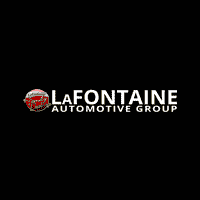 The brands we feature are LaFontaine Kia, LaFontaine Toyota, LaFontaine Hyundai, LaFontaine Honda and LaFontaine Volkswagen. The sales professionals at our dealership are ready and able to assist you in shopping for your next new or pre-owned vehicle. Scroll down to check out our wide selection of new and pre-owned vehicles! Remember we are doubling your down payment up to $500!